Welcome to the Anthropologist On the Street podcast! Anthropologist on the Street was in front of the camera at the American Anthropological Meetings in San Jose. Watch below or click here to see all of the videos! 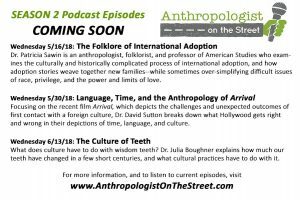 Anthropologist on the Street podcast is 1 year old! On June 22, 2017, Anthropologist on the Street launched with Episode 1: Anthropology beyond Indiana Jones with Dr. Angela Jenks. Since then the podcast has produced 19 episodes and almost 11,000 downloads, with topics covering everything from prison fire-fighters to breast milk sharing to the evolution of wisdom teeth. As always, AOTS celebrates all the different ways there are to be human. Follow along on Facebook, Twitter, or Instagram to get the latest news on upcoming topics, or request an interview to share your work. 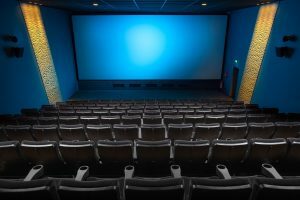 Catch up on episodes you missed, and find links to books, videos, and more information from our conversations, by visiting the “Episodes” page. Thanks to all listeners and supporters for making this a wonderful year! 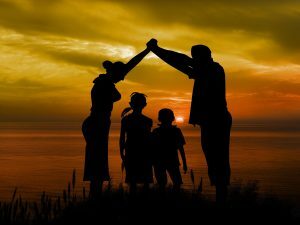 Season 2 is finally here with Episode 17 The Folklore of International Adoption with Dr. Patricia Sawin. Listen now here and stay tuned for the following upcoming episodes! 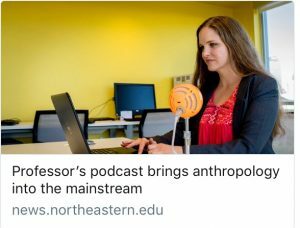 AOTS Is now a featured podcast collaborator with the American Anthropological Association (AAA). As part of this collaboration, AOTS’s Dr. Carie Little Hersh will be attending the AAA meetings in Washington, DC in early December, to interview fellow anthropologists on Facebook Live. If you are an anthropologist who will be attending the meetings, and you welcome the challenge of explaining your research in three sentences or fewer, send us an email at anthropologistonthestreet@gmail.com or visit the Request an Interview form and we’ll schedule a time to chat! Congratulations, Launch Party Sweepstakes Winner! Congratulations to Elaine Luxton, the winner of the Anthropologist on the Street Launch Party Sweepstakes! 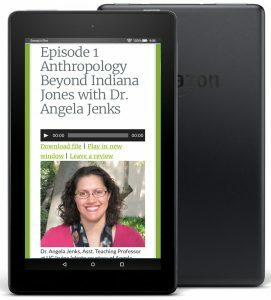 Elaine won a Kindle Fire 7 tablet, so she can take the AOTS podcast with her on whatever street she travels! If you didn’t win, don’t despair! To stay informed of upcoming events and contests, join AOTS’s email list below and/or follow AOTS on social media through Facebook, Twitter, or Instagram, or through the connected blog, www.relevANTH.com. 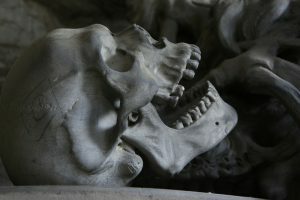 From Indiana Jones to Bones to that graduate student kidnapped by pirates on Archer, there are many different representations of anthropology in pop culture, but what do real anthropologists do? 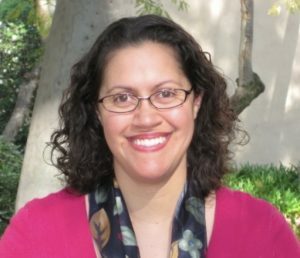 In the first episode of The Anthropologist on the Street podcast, Dr. Angela Jenks explains how anthropology helps us understand what it means to be human, and how the field could help us solve some of our toughest social problems. Join AOTS’s email list below to stay informed, and follow AOTS on social media through Facebook, Twitter, or Instagram, or through the connected blog, www.relevANTH.com. Anthropologist On the Street (AOTS) is a new, weekly podcast exploring all the ways there are to be human. Each week, Dr. Carie Little Hersh interviews a different cultural expert to illuminate the hidden ideas, practices, and power dynamics that make our lives both familiar and strange.